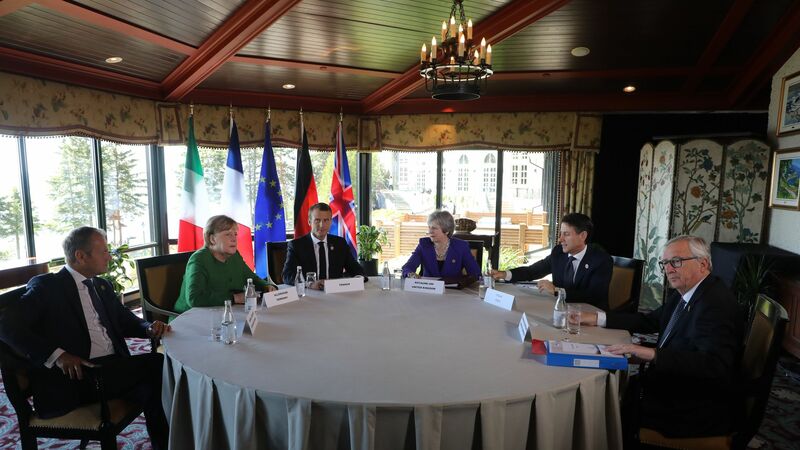 As G7 leaders gather in Quebec, the U.S. is on a collision course with the 6 other members over it the Trump administration’s decision to impose tariffs on steel and aluminum producers in Europe, Canada and Japan. Why it matters: The prospect of growing U.S. isolation has not deterred President Trump, who will likely use the summit to push his unilateral, economic nationalist trade agenda even harder. The optics of doing so while simultaneously cutting a deal with ZTE, the Chinese technology giant suspected of posing a national security threat to the U.S., add to allies’ sense of victimhood. At the core of Trump’s trade policy is the notion that the global economy is unfairly rigged against the United States. Trump harbors particular scorn for America’s friends and neighbors, whom he views as cheaters and free-riders. Trump is convinced he can lower the trade deficit by eschewing multilateral negotiations in favor of a transactional deal-by-deal approach. This strategy is rending the fabric that has for decades knit together the multilateral economic system. But Trump’s polarizing and divisive approach has yet to generate sizable concessions. He may have underestimated EU unity and the importance that export-dependent European nations place on multilateral trade. Rather than caving in to Trump’s demands and offering appeasement, Germany, France, Britain and Italy — along with Canada and Japan — have stuck to their guns. Their leaders expressed “unanimous concern and disappointment” and pledged “decisive action” in the form of counter-tariffs and challenges to the U.S. at the WTO. Both Justin Trudeau and Emmanuel Macron seem to have concluded their efforts to sway Trump have failed, opting instead now for a more direct confrontational approach. What’s next: How the current dispute over steel and aluminum tariffs will be resolved is still uncertain. Germany wants to cut a deal with Trump that would eliminate transatlantic tariffs entirely. But France opposes entering into such negotiations under the barrel of a gun. And even if Trump eventually softens up, he will already have done irreparable damage to U.S. credibility and leadership. The bottom line: Trump has managed to unite America’s friends against itself. And while they duke it out, China and Russia are emerging as the real winners. Erik Brattberg is director of the Europe Program and a fellow at the Carnegie Endowment for International Peace in Washington.